Monk shoes have come a long way since the original prototype - a leather sandal fastened with a simple clasp - was pioneered by monks. The modern iteration of this shoe with its slimline profile, distinctive side buckles and elegant styling is a highly popular choice with customers who appreciate the importance of investing in fine quality footwear. Our hand-picked selection of men’s black monk shoes are all beautifully crafted shoes, made from the finest leather and available in a range of stunning styles, including single or double buckle monks. 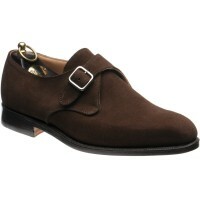 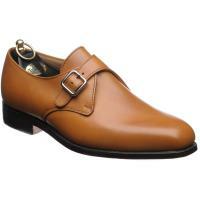 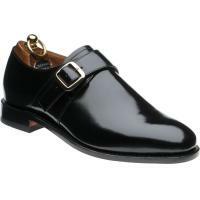 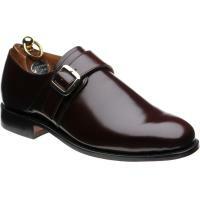 Black monk shoes with a single buckle tend to be the more formal of the two options and are a great choice for the office, while brown or suede monk shoes look superb paired with jeans or chinos for a more casual look, although either type will feel great to wear and look fantastic whatever the occasion. 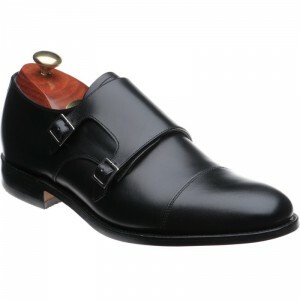 With regular cleaning and light polishing, your black monk shoes will age beautifully and serve you well for years to come. 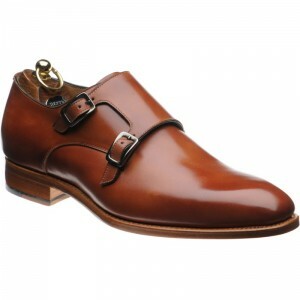 As stockists of high-quality footwear from leading English manufacturers since 1966, we assure you of our commitment to providing a first-class service to our customers worldwide.